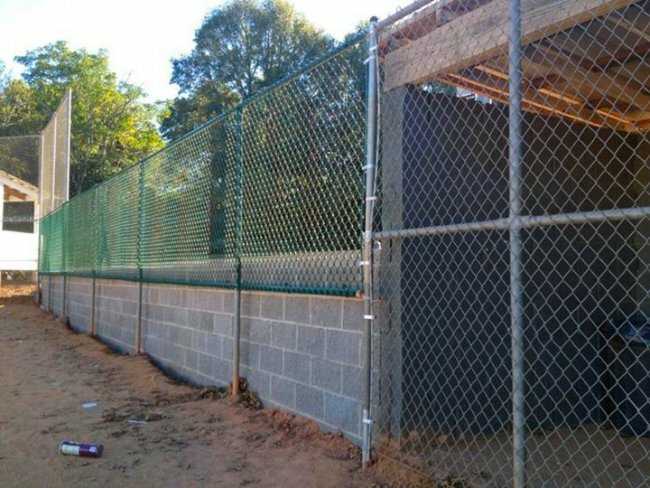 Chain link fence is appropriately used for both residential and commercial properties because it is very cost effective alternative. 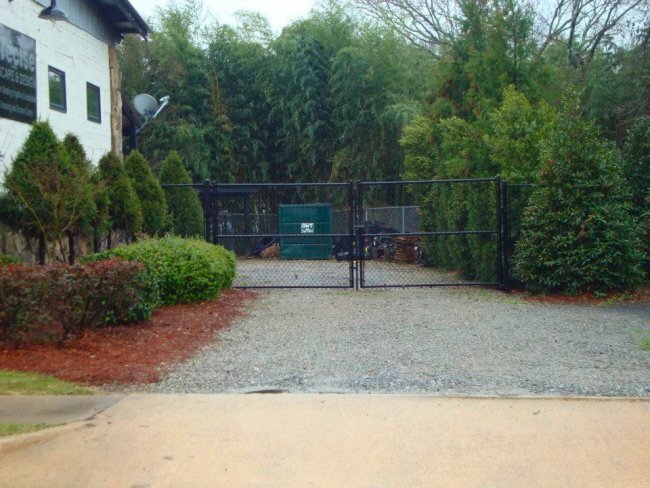 Chain link fence is very popular type of fencing typically made out of galvanized wire twisted into a diamond pattern. 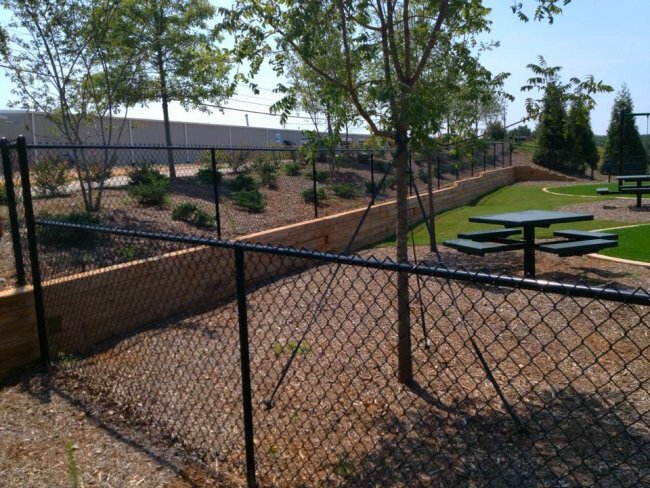 Chain link fence is relatively inexpensive compared to other types of fencing, it is very durable, easy to maintain, and easily installed with posts set into concrete. It is also transparent and does not block sunlight. Chain link fencing standard heights range from 3 ft. to 12 ft, but can be ordered in different sizes to meet your specific needs. 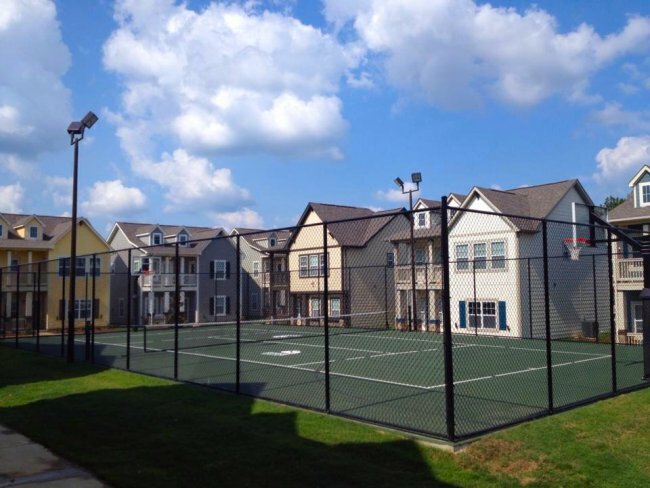 Our black and green chain link fence provides for blending into the environment while maintaining the benefits of privacy and security normally associated with chain link fencing. 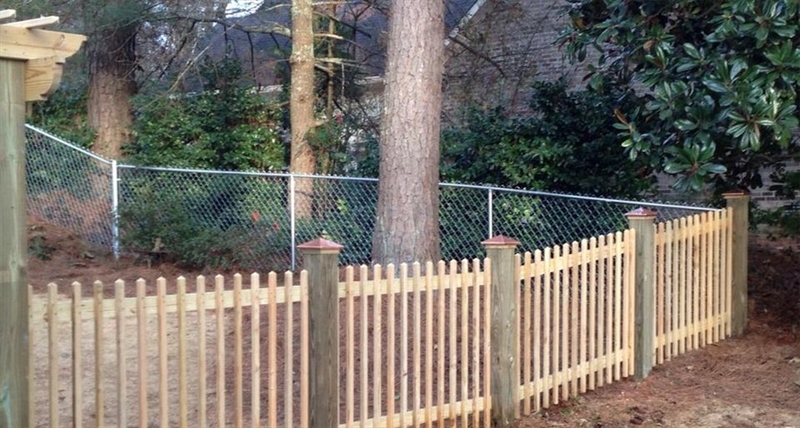 Vinyl slats can be inserted into the fencing to provide a high level of privacy. 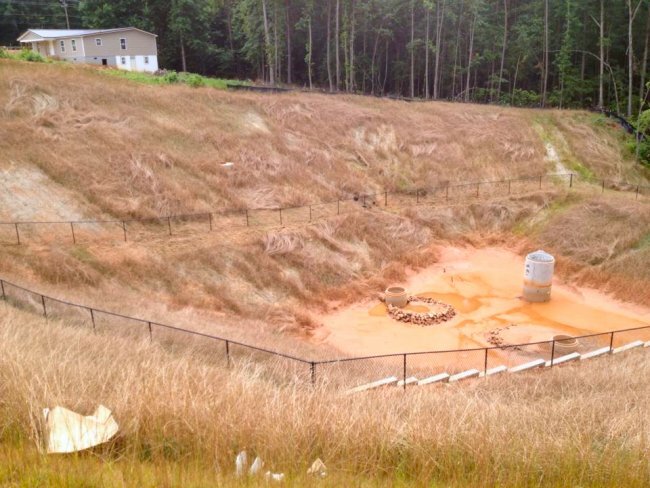 Akridge Fence Company typically installs chain link fence posts below ground level into concrete which provides strength and durability over time. Gate posts and corner post are anchored into concrete footings to provide the strength required to support the tension of the chain link fence which is stretched between these posts. 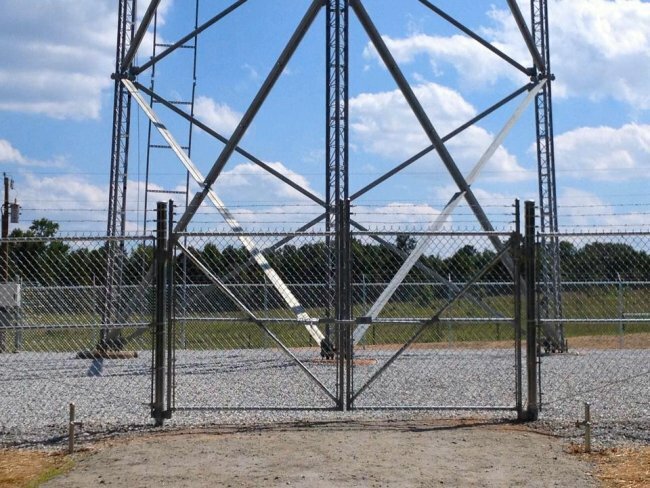 Aluminum wire is used to tie the chain link fence to the posts. 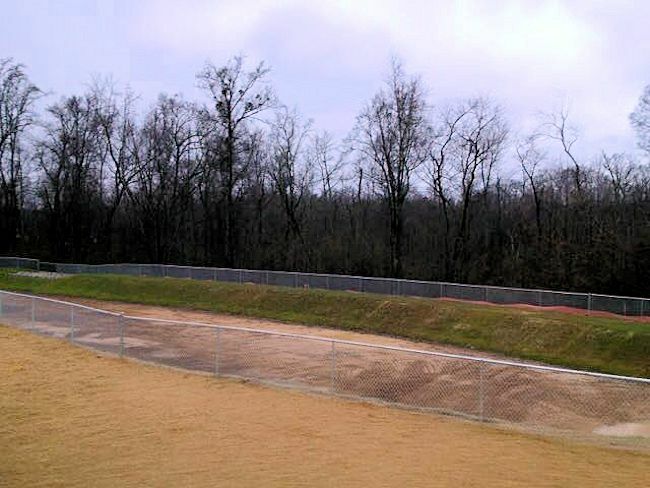 Top rails are added across the fence providing for more stability and strength. 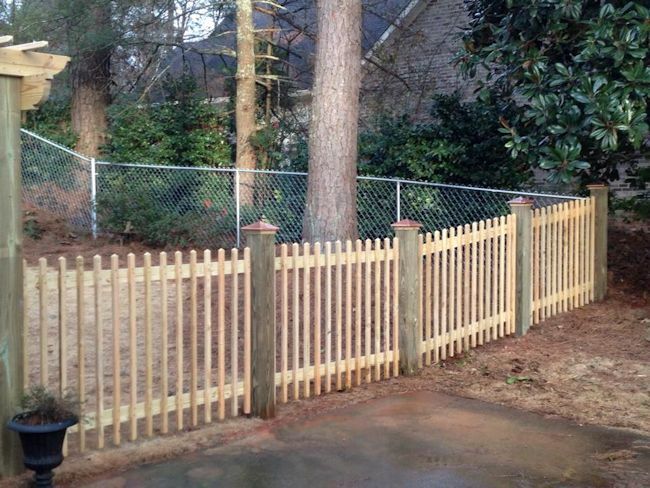 Bottom wire or bottom fence rails may also be added to the fence depending upon usage and need to prevent the fence from being pushed in or out and sagging. 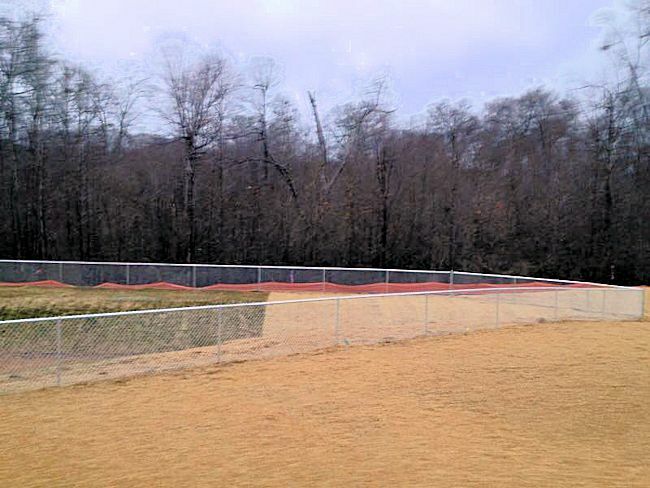 For example, a tennis court requires both top and bottom posts as does other areas that require strength from the top to the bottom of the fencing.